Continue to tap the field to 7 times and the message will notify you the developer options are enabled on your Amazon Fire tablet. 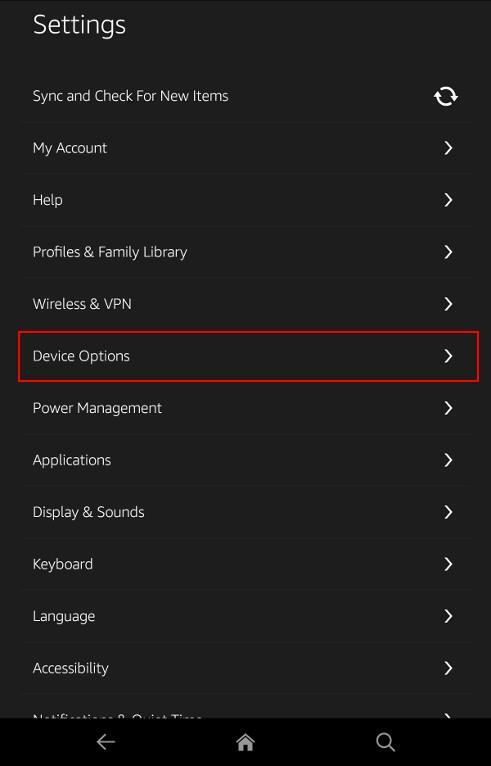 Now, in Settings— Device Options page, you can find a new entry of developer options. This means you successfully enabled developer options on Amazon Fire tablet. Tap Developer options as shown below to access the developer options. Please note, you should NOT enable/disable the options unless you know what you are doing. Some may degrade the performance of your Fire tablet significantly. Most of the options are for developers who can simulate the behavior of their apps under different situations, e.g., low memory. 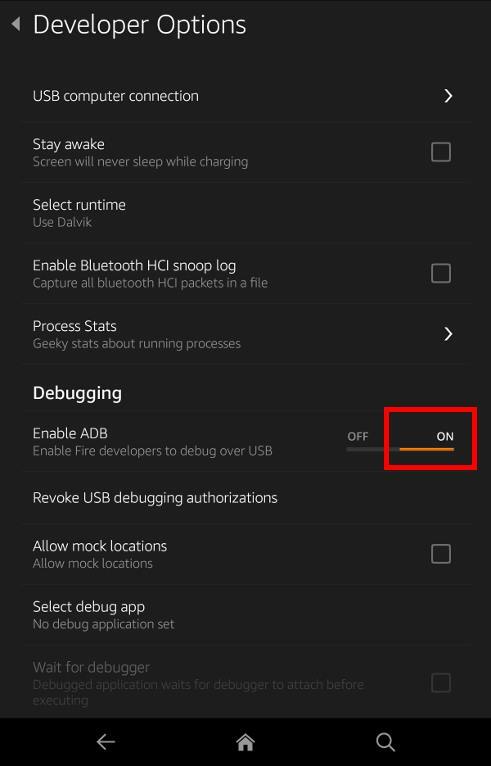 For most Amazon Fire tablet owner, you may want to enable ADB (USB debugging) for Amazon Fire tablet so that you can use ADB commands from the PC. How to hide developer options on Amazon Fire tablet? After Developer options on Amazon Fire tablet are enabled, you can hide them again if you do not want to use them or you do not want your kids to mess up the developer options on your Fire tablet. To hide developer options on Amazon Fire tablet is not so complicated. 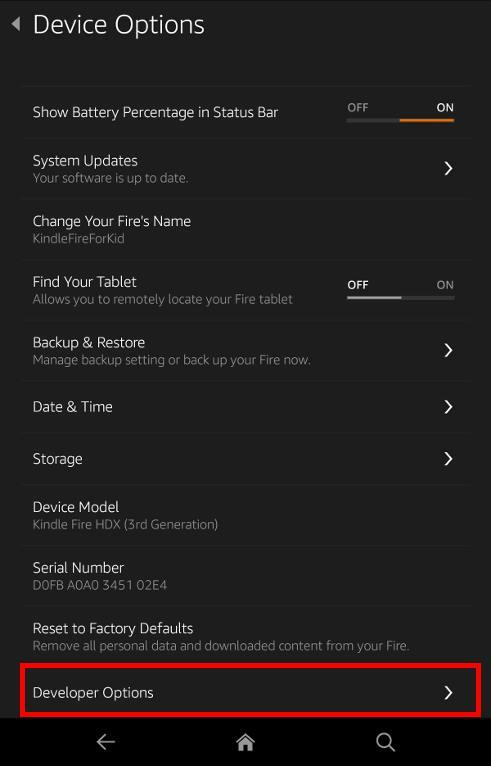 It is absolutely NOT necessary to reset the tablet to disable or hide developer options on Amazon Fire tablet after enabling them. 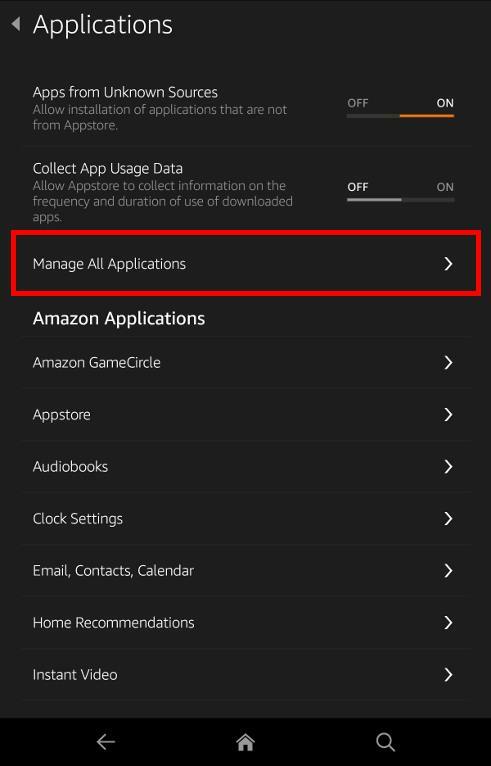 You can disable or hide developer options on Amazon Fire tablet by clearing the data for Settings app. You can go to Settings– Applications f=on your Fire tablet. Tap Manage All Applications as shown below. 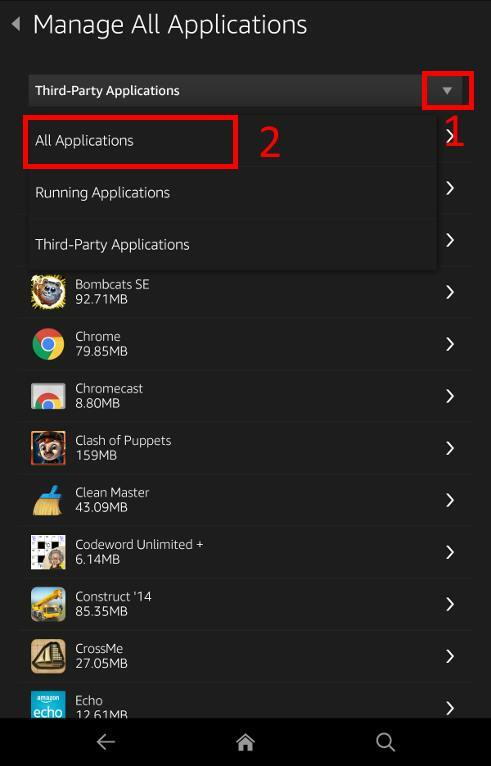 By default, Third-party applications are shown. Tap the arrow down button in the right side of Third-Party Applications as shown below. Then in the drop down list, tap All Applications as shown below. Tap Settings as shown below. Tap Clear data as shown below. 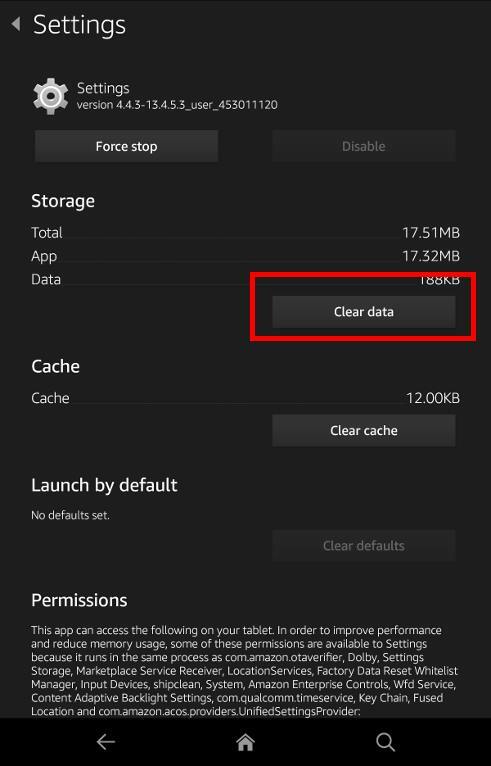 This will clear the saved data about the Settings app. It will NOT remove your account or other settings. This will remove all data from this application including saved contents, accounts and settings. The application will remain installed on your device. 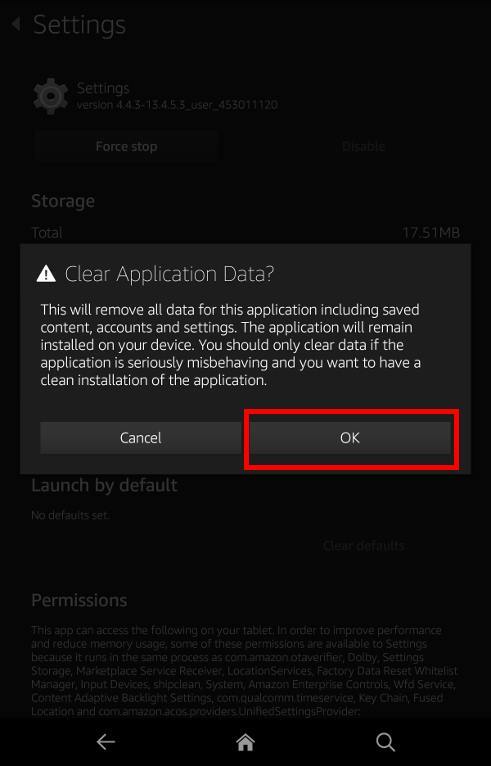 You should only clear data if the application is seriously misbehaving and you want to have a clean installation of the application. Tap OK as shown below. This will essentially reset the menu for Settings, and therefore will hide developer options on Amazon Fire tablet. Please note, this operation will not only hide developer options on Amazon Fire tablet, but also disable all settings in developer options. If you need the developer options on your Amazon Fire tablet again, you have to enable the developer options first. 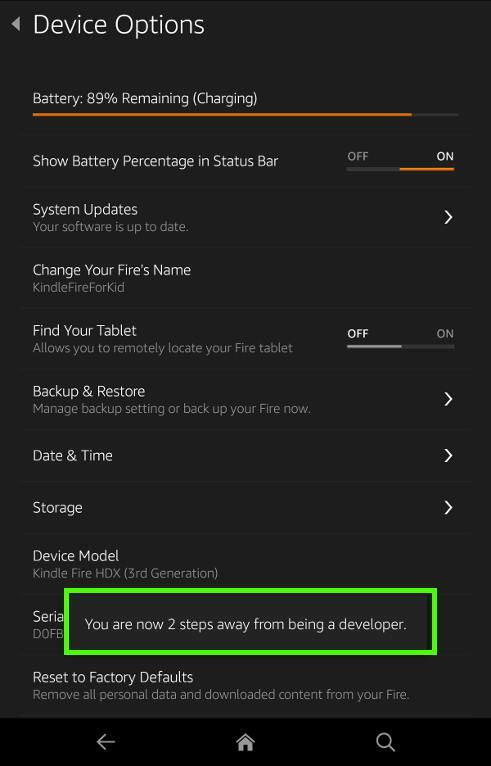 Can you enable and access developer options on Amazon Fire tablet (Fire HD, Fire HDX and Kindle Fire HDX)? 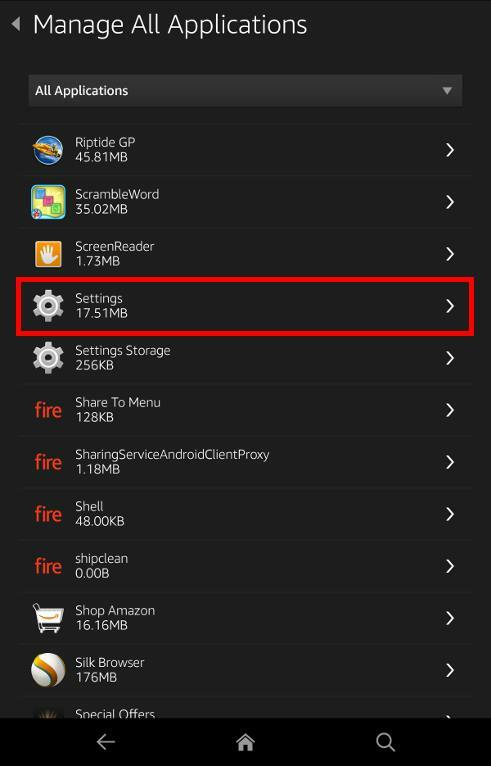 Can you disable and hide developer options on Amazon Fire tablet? If you have problems to enable and access developer options on Amazon Fire tablet, please let us know in the comment box below. Or if you need help to disable or hide developer options on Amazon Fire tablet, please also leave your questions or problems in the comment box below. Thanks for your very detailed description of how to reach google services on tablets and phones, I have just finished almost all thing works properly. 1. On tablet I defined a second profile for my wife. In this profile the google apps are not present, so I tried to install them in the same way, but 2 of the 4 files could not be installed. Also cannot the chrome install from 1market. gmail could be installed, but not works. Developement menu, under this proflie could not be reached, with the 7 taps. Is it possible at all to put google apps to thesecond profile? 2. After finishing your steps, google play worked fine. Later I have added my wife’s account beside mine in gmail. After that when I start google play, it starts, but instead of offered apps I just see a message, like my administrator not allow to see any apps. However I can search for apps, and then I can see results, and also install any. But first it worked correctly. I didn’t test the solution with multiple Google accounts. Anyway, don’t expect too much on Google account support in fire tablets. Thanks, for your answer. Then it seems it will be good for me with one account, however I will try a bit more. Thank you for your guide, Your guide was really useful and accurate! I enabled developer options as per your instructions, on my wife’s kindle, worked perfectly. I disabled the developer options in the settings, by clearing the ‘settings data’, again worked perfectly. But, the ‘logcat’ continues to appear in the upper right corner of the kindle. Any idea on how I turn this off? In developer options, ‘Show GPU usage’ was turned on by default. So, I re-enabled developer mode, unchecked this developer option, and then cleared memory for ‘settings data’. OK, so I got to where I clear settings data but then what? No instructions after that? New to all this and need to know how I can download play store apps after following your instructions.PLEASE HELP! What do you want to do? We have a guide on installing Google play store. You need follow it. Will this work for a Kindle Fire 8.9 HD 2nd generation? Tried the tapping the S/N number 7 times and no luck. Does not appear that this trick works for the 2nd generation Kindle Fire HD’s. Not sure. 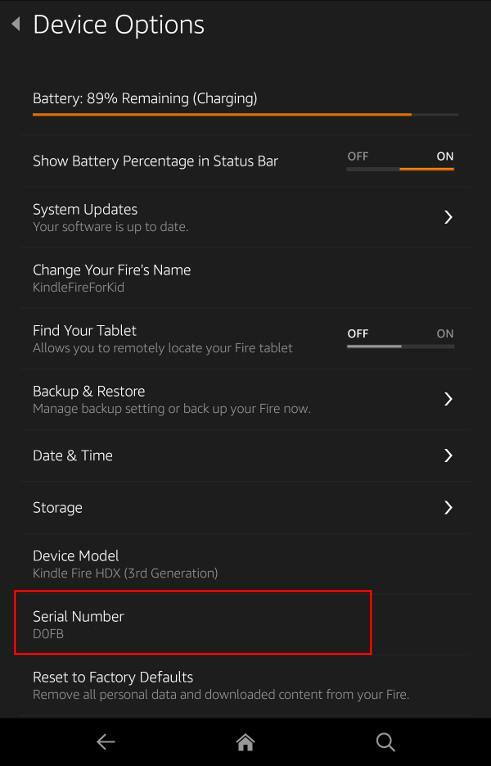 Normally, for Amazon fire tablets, we just tap serial number. In real Android devices, we tap build number. But in fire or Kindle fire, there is no build number. You need to tap it quick enough. I have a Kindle Fire one of the early ones and can not figure out how to enable developer options, it is system version 6.3.4_user_4120720 Any ideas ? Can you find Build number or serial number? I have a kindle fire hd 8.9. Not sure. Did you see any animation when tapping it quickly? What’s the version of fire OS? Do you get animation when tapping other fields? What do you have in the USB section of the developer options. I have a kindle fire hd8 5 generation. There are two overlays on the screen that will shrink but not go away. How do I remove them? What overlay? You may share the screenshot on our Facebook page so that others may know what you are referring to.